What are the three words you typically hear to describe a great apartment in NYC? Location location location! Ok, so maybe it’s more like one word repeated twice. Still, the same can be said a lot of times for restaurants in NYC, but we don’t notice it as much. I just had a great meal at Kipsey’s, but the location doesn’t have a ton of foot traffic and it also happens to be under a scaffolding. Not the most attractive and inviting thing to see either. But that’s why I’m here! To help spread the love and make sure you guys give this place a fair shot. 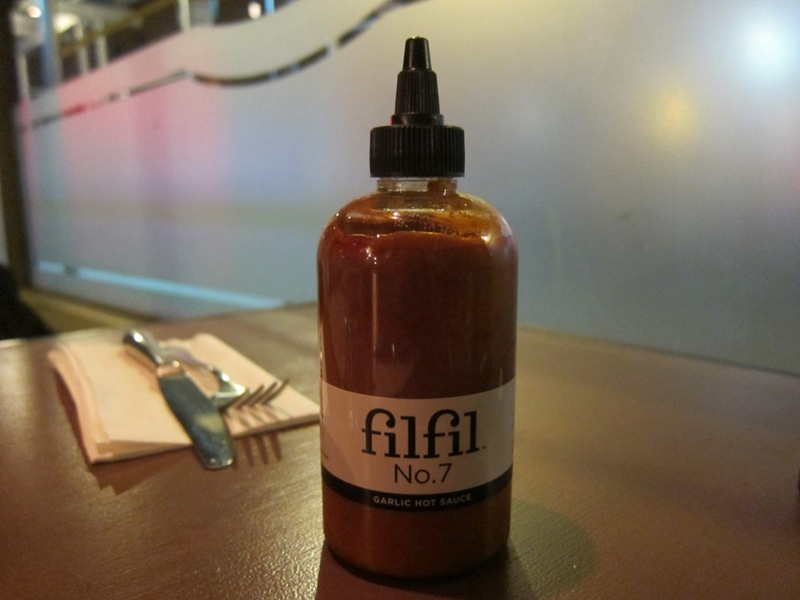 The owner, Arnon Magal, also owns one of my favorite places in Williamsburg (Peters 1969), and was more than happy to talk through the menu and give me a bottle of their AMAZING homemade garlic-hot sauce, “filfil no.7“. Seriously I’ve been using it every day – if you like things spicy, you need this sauce (aka awesome sauce). I want to say that we had every appetizer on the menu; you know how the Skinny Pigs roll. Arnon was telling me a little bit about the process at Kipseys, and it seems like everything here is made in house, from the bread, to the hot sauce, to CURING AND SMOKING THEIR OWN BACON. Need I go further? No, but I will anyway. Let’s talk about that bacon shall we? 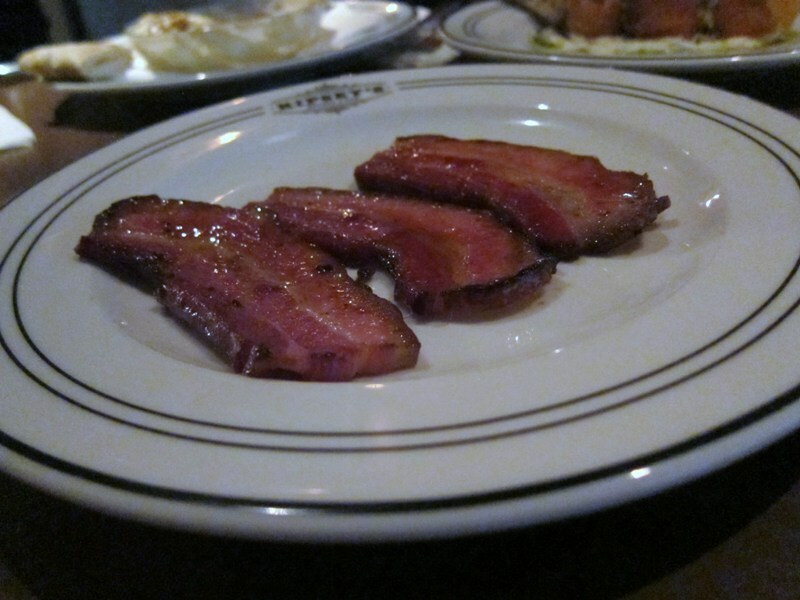 Thick cut, maple-glazed bacon. Normally I like my bacon thin and super crispy, but when it’s a perfect thick cut like this, it’s just as good. And the sweet tang from the maple glaze? I could probably have that as dessert. 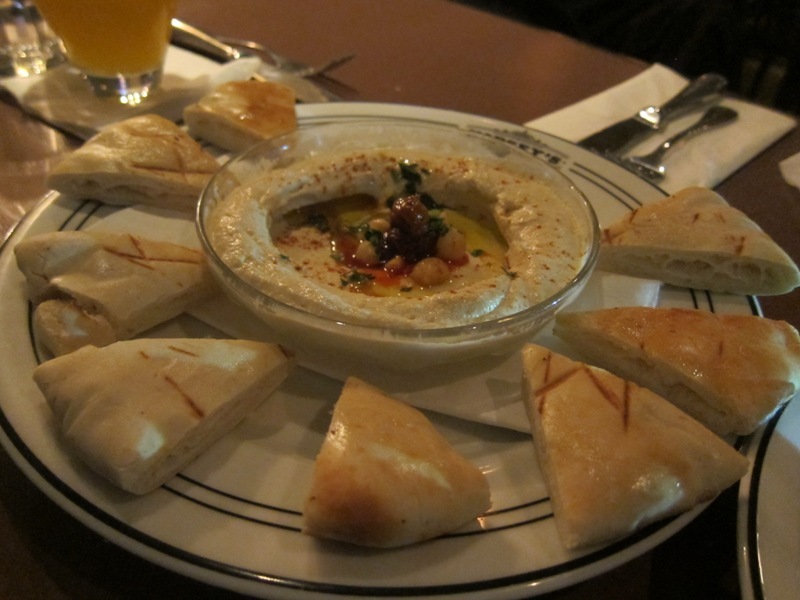 As I mentioned earlier, Kipsey’s makes everything in house, and their hummus was no exception. Chickpeas ground into a perfectly smooth texture, drizzled with olive oil and paprika, and served with warm pita toast points. Noms. I have a slight addiction to hummus and could eat it on pretty much anything, add in a little of that filfil garlic hot sauce they make, and it’s a dangerously awesome combination. Awesome sauce is at it again! Out of all the appetizers we tried, I would say my ONE gripe would be with the fried pickles. 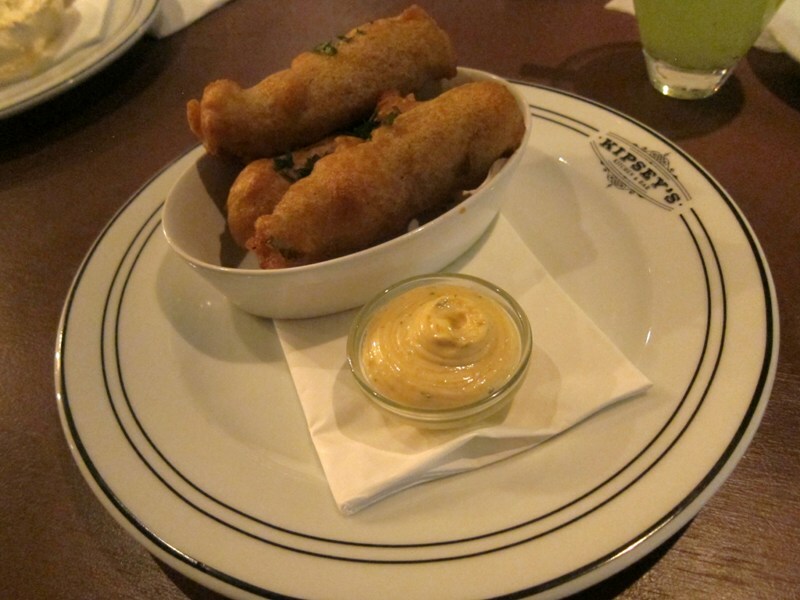 I love a good fried pickle, but Kipseys uses a tempura-style batter (think fish n chips), so it tends to separate from the pickle when you bite into it. You know when you get onion rings that slide out of the fried shell and then you’re basically just eating a cooked onion? That’s kind of what happened here – I’m ok with crunchy fried pickles, but not ok with soft warm pickles. Easy fix though, if they really wanted to. Get some panko and call it a day. Still, hard to hate a fried anything. 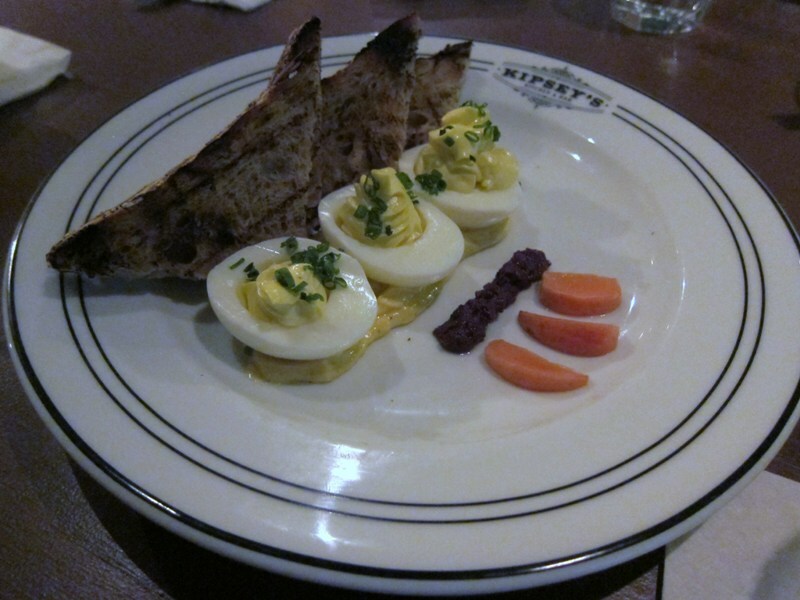 The deviled eggs made up for the shortcomings of the pickles. They make their own mayo (of course) and the deviled eggs had a wonderful kick to them – I’m a big fan of a perfectly executed deviled egg. Bravo Kipseys! We devoured these incredibly quickly. And also look how pretty that presentation is.. 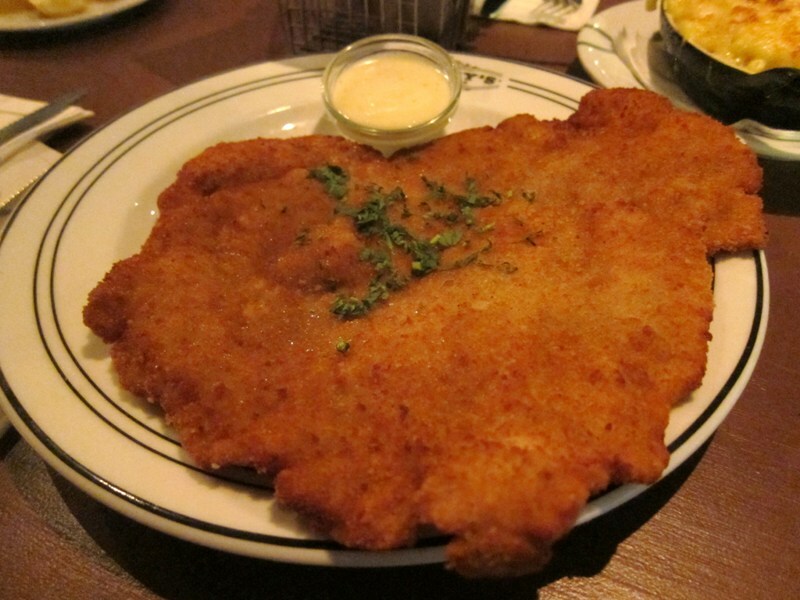 Honestly you could fill up at Kipsey’s on appetizers alone, but we HAD to try one of the entrees – which is an amazing steal by the way – $13 and you get this GIANT piece of chicken schnitzel with TWO sides of your choosing (see below). We chose mac and cheese and french fries. Because…duh. Again if you don’t fill up on EVERY appetizer like we did, then you would probably have more room for this, but oh my god we wish we saved more room because it was delicious and we couldn’t even finish it. 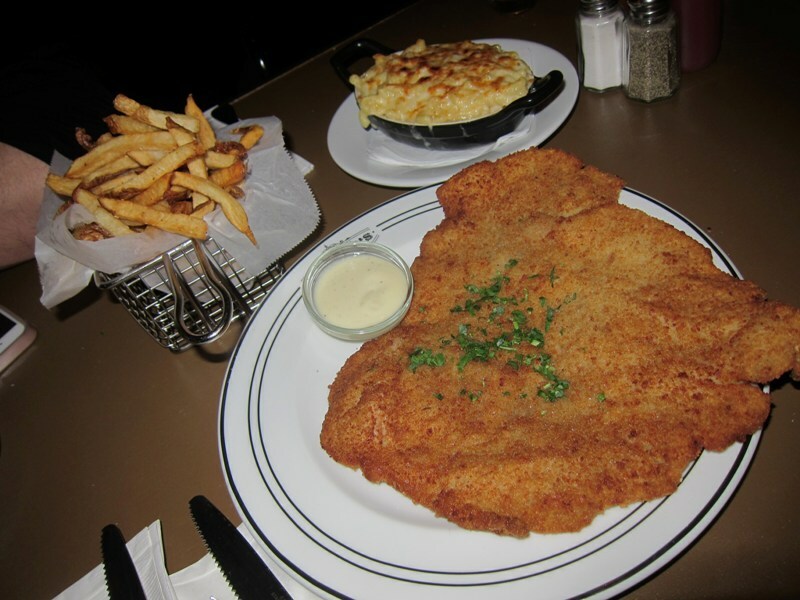 I know it’s just a chicken cutlet but there is nothing wrong with classic comfort food. And again, you get ALL of the below for $13!! Can’t. Go. Wrong. ALL that for $13. Take it all in. Literally. Let’s take a moment and analyze each piece of food and drool over it. First up, we have chicken schnitzel. A standard chicken cutlet pounded nice and thin, breaded and fried to a super crisp crunch on the outside, with juicy white meat on the inside. Not to mention this piece was bigger than my head. Ahhhhh mac and cheese. How I love thee. 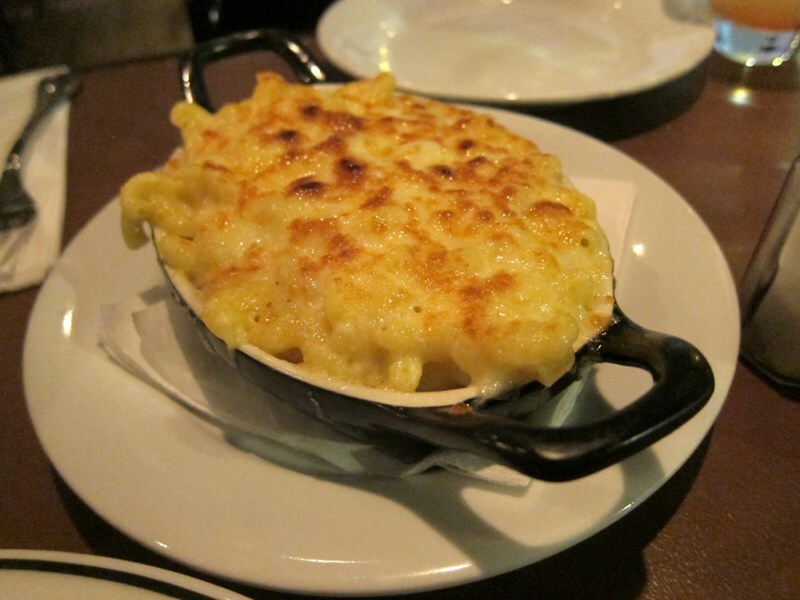 What can one really say about mac and cheese that’s bad? The answer is nothing. Ok? NOTHING. The top is the best part. Everyone knows that. 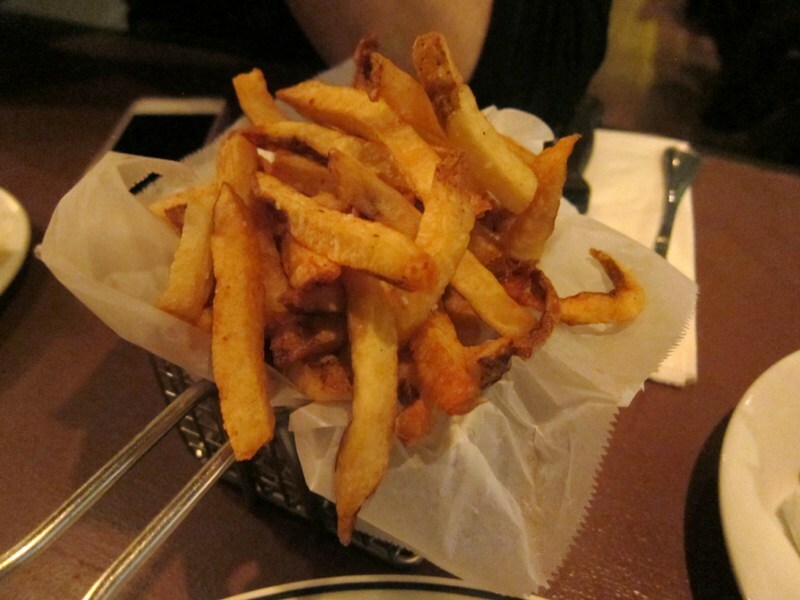 Lastly, we have french fries. Another classic that goes with almost anything. Did you know the only reason I started eating mussels is because I discovered it was common practice to serve them with french fries?? Yea. That goes to show you the power of the french fry. IT IS BOLD…AND IT IS GOOD. How could you turn these bad boys down?? Give Kipsey’s a try – I think the fact that everything is made from scratch really makes a difference, not to mention the deals are really fab. The entrees I mentioned above are obviously great, but I peeped their brunch menu as well and the prices are on point ($11 – $14 range for entrees served with mini corn muffins, OJ or coffee). And then there’s that bacon for a mere $2.50. Bring home that bacon, kids!